Rules of the Jungle: The mysterious duck-bill? My passion for duck-bills come from the fact that they are so rare, and because they are so mysterious. It is one of the fascinating animals that can’t ever be discovered completely, and as I always liked difficult tasks, I decided to study it and to share my knowledge to the world. The duck-bill has some characteristics of reptiles, and I assumed for quite a while that it is actually a weird combination of a bird with a snake. Well, this was my conception while I was a child, but it was easily fought by the first serious lesson about bill-ducks at school. It is true that this animal has something from birds and sakes, but it is not like sticking a duck’s head on a snake’s tail. I still remember the laughter of my biology teacher when I first described a duck-bill! 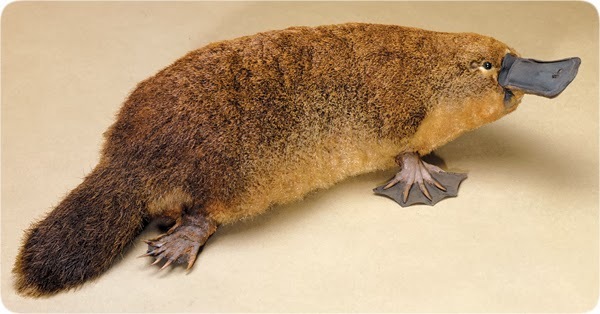 The duck-bill is more like a mammal than a reptile, with a life span of 10-15 years. It has the size of a cat, but the male is a little longer. The average weight of the duck bill is 2 kilograms for males, while the female can barely reach 1 kilogram. The fur is the most important protective barrier for the duck bill. It is covered with hair, with the exception of the legs and beak. The duck bill fur is denser than the one of the polar bear, and a brown color. The fur has two layers, and this allows the duckbill to survive in extremely low temperature. Well, I saw a duckbill at -20 degrees Celsius, and it looked like taking a bath in the sun! The beak has a system to detect the electric waves, with tactile receptors. When it is warm, the duckbill likes to say in the water to find food it is able to cover the nose, ears and eyes. Yes, I asked myself the same questions: how it is possible for the duck bill to hunt, as long as it is armored like that? 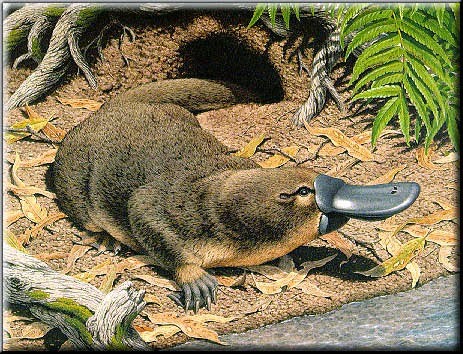 The tactile receptors are perfect for the duckbill to find food in water, even if it is hidden under rocks. The ears are placed on the lateral of the head, without external parts. Those are also closed when the animal swims, but the hearing is really smooth, anyway. The duckbill has four legs, which can expand in horizontal position from the body, making the animal as agile as a reptile. The front legs have a skin that helps swimming. On dry land, the skin retracts, uncovering the sharp claws which are capable of digging the shores of rivers. Well, the claws are also helpful for arranging the fur, because the duckbill is a clean and tidy animal! There is nothing more interesting about a duckbill than the tail. It is used for steering in water, and it also has the role to deposit fat for the long winter. A big tail is a sign of health for the duckbill.